Hello and Happy Fall everyone!! This is my favorite time of year!! 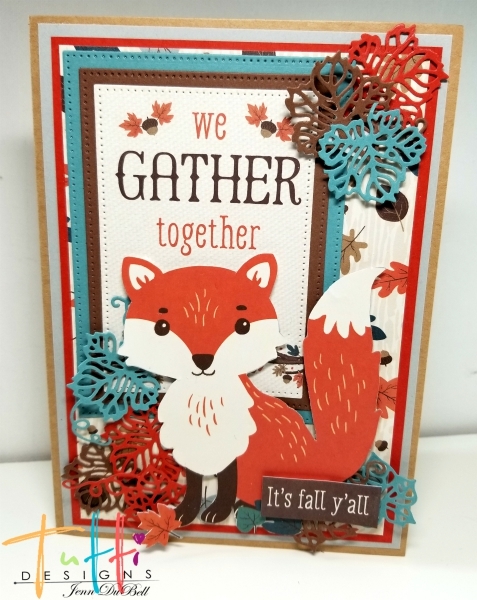 It's Jenn here today and I want to share my fun and festive Fall themed card that I created using the amazing Tutti Designs Dies seen below! 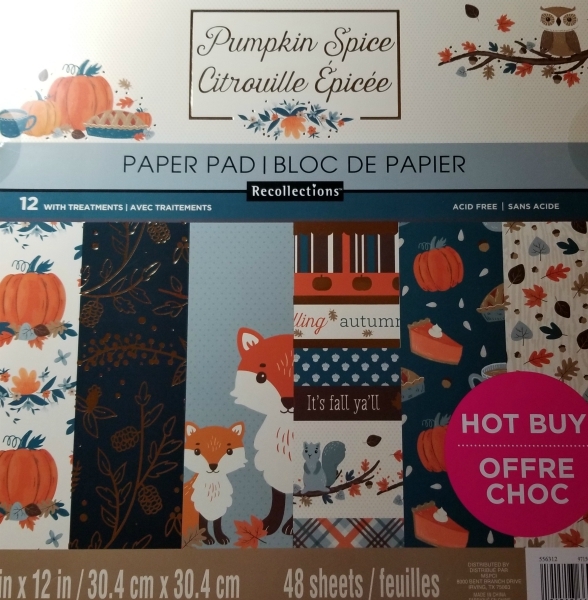 The paper collection used for my card is called Pumpkin Spice. It was made by Recollections™ and purchased at Michael's. 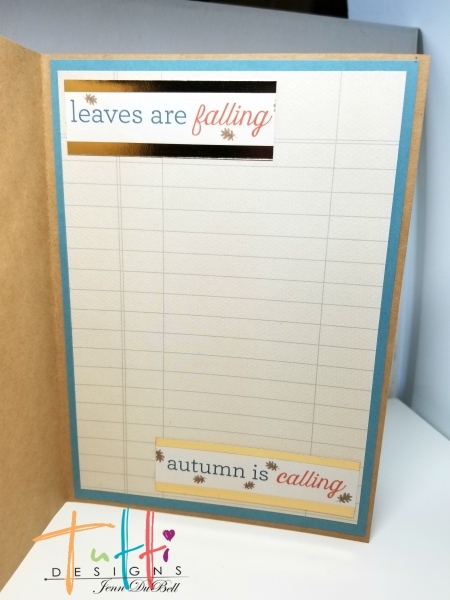 I also used cardstock in blue,dark orange, chocolate brown, and grey. One piece of 8.5 X 11 Kraft Cardstock cut to 7 X 10 folded in half and burnished to create 5 X 7 card base. Designer paper (lined) cut to 4.5 X 6.5 and layered on top of the blue. 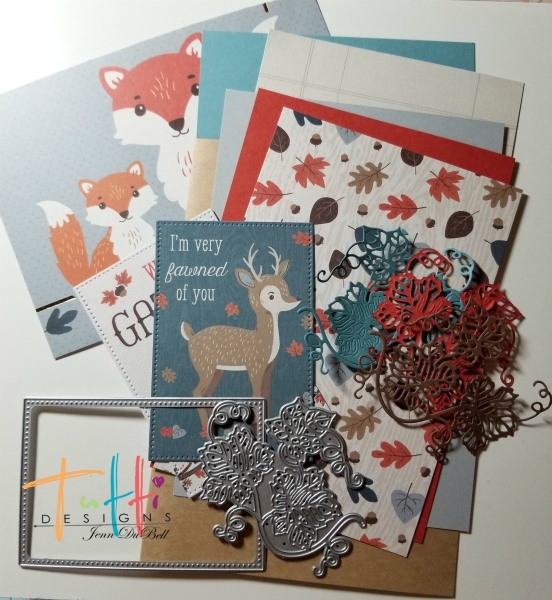 These were adhered to the inside panel and embellished with some fun sentiments cut from the same designer paper collection. I used a permanent gluestick for this. 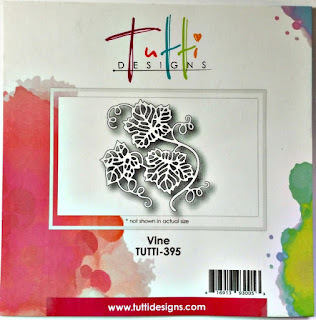 Cut the Tutti Vine die once from three colors. I used blue, dark orange, and chocolate brown for mine. 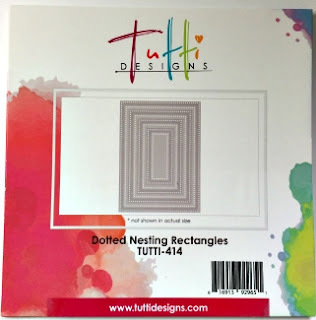 Use the largest three Dotted Nesting Rectangle Tutti Dies to cut 2 solid and one cut apart from designer paper. Layer these together and adhere to the front upper left. 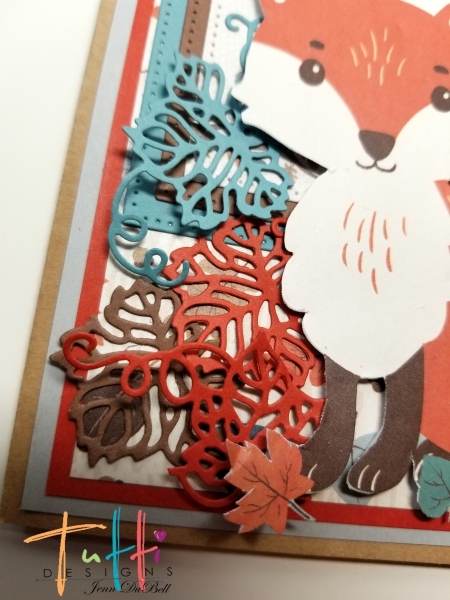 I fussy cut the fox from the designer paper as well as the little saying in the bottom. They were both adhered using foam adhesive squares. 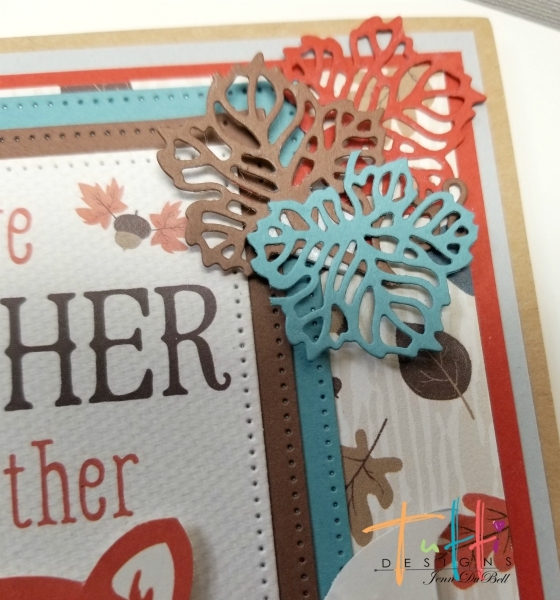 Cut the vine leaves apart and adhere in your desired arrangement around card. Here is some detailed views of the amazing dies!! OMG this is so darn cute and I love your color choices! I would have never thought to throw the blue in there but it's perfect!! What an awesome design! Well done! 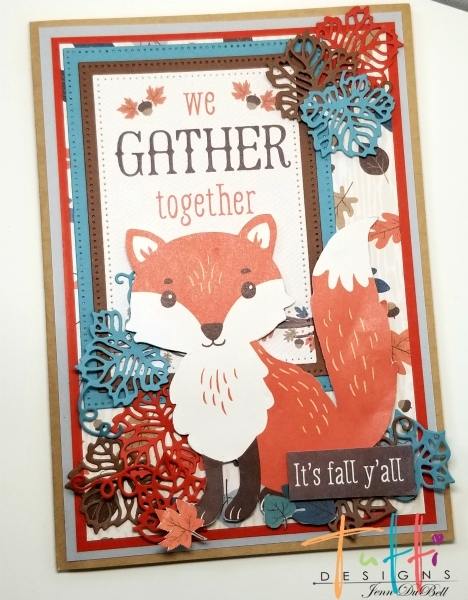 Love all the layers..such a great card for fall!